Everyone knows about the tremendous IT potential held in the north of Watford, which is commonly known as the technology hinterland. To challenge this very region, companies from the Northern Powerhouse have lately emerged that challenges every technological aspect. Right from the mobile app development to programming codes, you can witness almost everything in the hotbed for mobile app innovation. 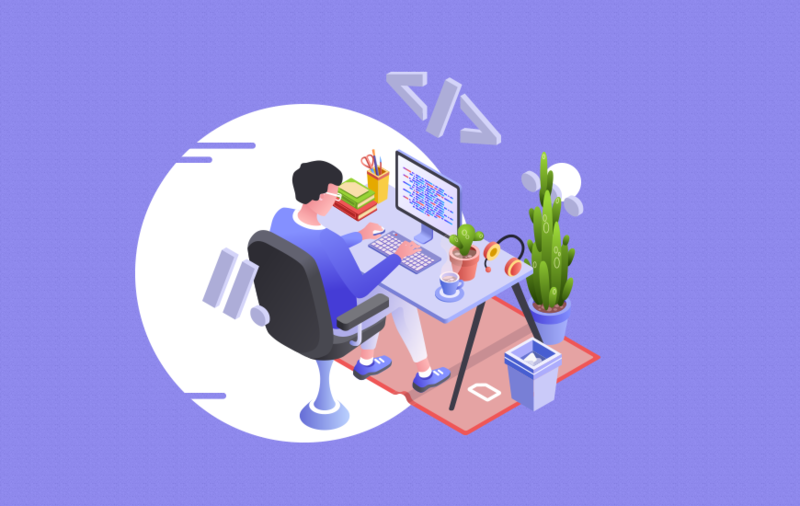 The enterprises are already on the lookout of the app development companies in Manchester, Newcastle, and nearby area to quench their thirst of a creative solution for their business houses. As a leading provider of mobile app performance management software, Kumulos eat, sleep and breathe mobile - they talk to a lot of mobile app developers around the world and are fascinated by the incredible work done by mobile app developers of all shapes and sizes. The following report is compiled by Kumulos and before jumping to that, know why it's important to research mobile app development agencies. Why Does Kumulos Research Mobile App Development Agencies? The company survey and assess the best 'Mobile App Development Businesses' across the world. In the past, Kumulos have looked at businesses across the different regions in the US, Australia, Germany, and reviewed London based mobile app developers. But the company exactly know about the potential residing in the rest of England, so in their latest report, the focus is on Northern Powerhouse Mobile App Developers. Top App Development companies will be able to showcase a portfolio of mobile projects with recent case studies, backed up of course by the apps themselves being ranked well in the app stores and good user reviews. Kumulos look at the strategy for the app; what the app solves, the technology used behind the app, the use of AR/voice/ IoT and it’s onboarding experience along with the UX/UI design and use of push notifications etc. Overall, Kumulos looks for innovation that goes beyond the norm of mobile. To be featured as a Top App Development company by Kumulos is a great achievement and shows that a mobile app agency is excelling at mobile strategy, design and development and in fact, thinking about the full app life-cycle for their clients by offering ongoing ASO services and app analytics. APADMI made its way into mobile technology in 2009 and today; the company has some of the top brands of the UK like Co-op, BBC, NHS, Land Rover Jaguar, Lexus, and more. APADMI employs various technologies and platforms to infuse companies with more value. The company has rolled out two of its new business arms which are Apadmi Ventures and Apadmi Labs. The former division is established to lend out support to startups in every possible way, and the latter one aims to come up with innovative ways of working involving artificial intelligence and machine learning. Hedgehog Labs is one of the well-known app development company in the UK, and since 2010, the tech company is constantly delivering amazing post-PC experiences and campaigns to clients across the UK & abroad. The company specializes in multi-platform software and connected device innovation. The client list of the Hedgehog Labs includes News International, Channel 4, Financial Times, Booths, Societe Bic, East Coast Trains, and many more. Corporation Pop focuses on understanding the client's requirement and take care of everything from UI design to post app development cycle. The company employs intelligent and engaging interactive tools to deliver intended results. To deliver its project on time, Corporation Pop emphasis on end-to-end project management strategy, which also brings out the best elements of the product and gives value for money to the clients. Dreamr is another fantastic company in the app development domain and was established in 2014. Due to their constant endeavors, the company has been credited with many awards for the app design and development. Dreamr is known to creates immersive experiences for mobile, wearable and web. They aim to churn out innovative and thought-provoking products in the world. App Development, Web Development, App Design, iOS Apps, Android Apps, software, and App Marketing. Codevate is an Agile software development company which rightly integrating business and technology to boost customer acquisition and maximize growth. Codevate looks after projects involving iPhone (iOS) and Android mobile application development and is a go-to web and app development specialists because they take a strategic, methodical and consultative approach. Desap churns out Digital Solutions and Mobile Applications with unique functionality, incorporating Integrated Smart Device Technology, productivity enhancement, increasing client & customer acquisition. Currently, the company is working on designs and functionality across a number of industries with innovative requirements. Huddled is a Manchester-based agency, which specializes in website, app and software development. The company focuses on designing innovative websites and mobile apps across iOS and Android and developing them to be technically sound. Their team of experienced digital marketers create campaigns and provide post-launch support to ensure that the website or app gets the exposure it deserves and the results it requires. Pocketworks is a mobile apps studio that assists companies to invent smarter ways of doing business with modern mobile, web and API technologies. It also funds startups who are looking to launch a new product or service where the mobile audience is center stage. Tyrell is a digital that builds apps, websites, and makes interface and controller solutions for electronics and manufacturing hardware. The company aims to provide high-quality digital products for businesses of all shapes and sizes. Tyrell Digital was launched in 2011 by Duncan Scobie and Alasdair Yeo and started to release app ideas. 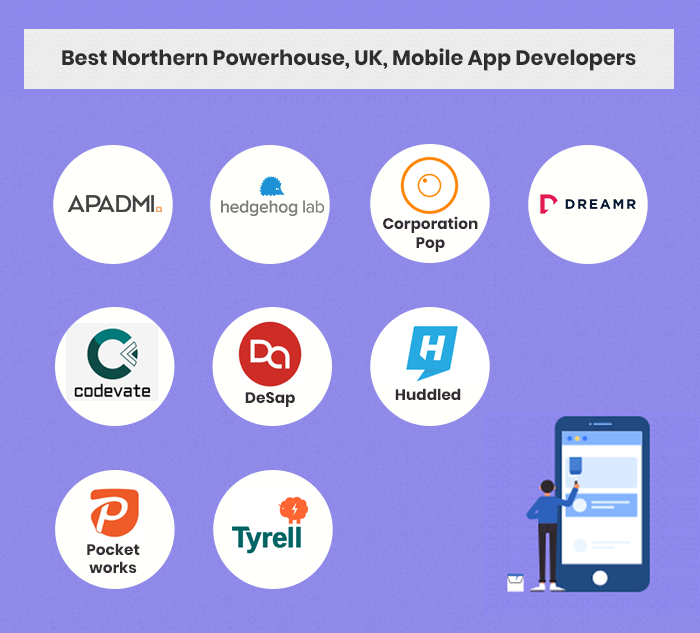 If you are looking for the best app development company in the Northern Powerhouse region of the UK, you have got the best pick among the Northern Powerhouse, UK, Mobile App Developer. So, revise your idea and priority, and you will get your dream app in no time. For any more information on the app development, you can comment below, and we will be right where you are.